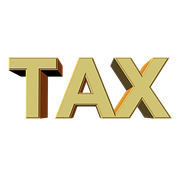 If you are considering setting up a business no doubt one of the considerations will be the business tax rates in South Africa. Below we give you an insight into not just the business tax rates in South Africa but also the South Africa Revenue service requirements, accounting procedures and employee taxation. Please note that any reference to an external company is a foreign company with a ‘branch in South Africa’. You can read more here in the definition of an external company. All companies, including external companies and close corporations, are required by law to lodge their annual returns with CIPC (previously CIPRO) within a certain period of time every year. An annual return is a statutory return in terms of the Companies and Close Corporations Acts and therefore MUST be complied with. Failure to do so will result in the Commission assuming that the company and/or close corporation is not doing business or is not intending on doing business in the near future. Non-compliance with annual returns may lead to de-registration, which has the effect that the juristic personality is withdrawn and the company or close corporation ceases to exist. The Act makes a distinction between local companies and external companies’ annual returns, and the content of each differs. There will therefore be three annual return lodgement avenues namely for local companies, external companies and close corporations. Annual returns for local and external companies must be filed within 30 business days from the anniversary date of incorporation. If filing is done later than the 30 business days an increased fee is payable up until the company is deregistered due to non-compliance. A small business corporation is classified as having a turnover threshold of R20-million per year. The holder of a business visa needs to employ 5 South African citizens or permanent residency holders. As in most countries the employer (the business visa holder) must withhold certain taxes from the employees’ remuneration for payment to the South African tax authorities. The main tax to pay on the employee’s behalf is PAYE. As in most countries this is a deduction from the employee’s gross pay that the employee pays over to the tax authorites. Further the employer must retain 1% of the employee’s remuneration for UIF – a type of unemployment and benefit fund. The only additional cost an employer faces is a 1% tax equal again to the employee’s remuneration. This is payable as the employer’s contribution to the afore mentioned UIF. There is no mandatory requirement for an employer to pay into medical schemes or retirement schemes or any other type of employee benefit. There are no other taxes the employer must pay either for or on behalf of the employee. Accountability requirements regarding the appointment of an auditor, company secretary and audit committee apply to every public-, state-owned- (unless exempted), private-, personal- and non-profit company if its Memorandum of Incorporation (MOI) requires it to comply. Read more about Memorandum of Incorporations (MOI’s) here. Exempted means if your company for the preceding year had less than R5m in assets and R20m in turnover it is not compulsory to be audited. However you may choose to do so. Read more here on external auditors. In the case of an external company an auditor must be appointed for the branch. The scope of the audit is limited to the income statement of the South African operations, since there is no balance sheet required. The audit is mainly for income tax purposes. In addition, it can also be used by the international company’s auditors. It is of course impossible to accurately assess the costs of accounting and auditing (where required). Simple accounts can be self done but most people employ a professional. Depending on the accountancy practise and the work required accountants typically charge between R500 and R700 per hour and auditors R1,200 to R2,400. Intergate immigration provides the most comprehensive business set up service for foreign individuals and companies wishing to commence operations in South Africa. Whether you are an entrepreneur looking to buy into or commence a new operation or a company wishing to expand operations into South Africa we are able to assist with all aspects of your project.